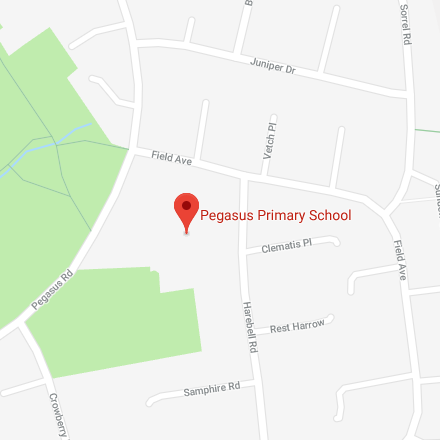 Whilst Pegasus Primary School takes care to ensure the accuracy of the Content, to the extent permitted by law, Pegasus Primary School assumes no legal liability for and does not warrant that the information contained on this Web site is accurate or complete, or that these web pages will be free from errors or that its availability will be uninterrupted and Pegasus Primary School hereby expressly disclaims and excludes all express and implied warranties terms or conditions not stated herein, so far as such exclusion or disclaimer is permitted under the applicable law. Pegasus Primary School excludes all liability to any person for any loss or damage caused by any errors or omissions, whether such errors or omissions result from negligence, accident or any other cause but this disclaimer is without prejudice to any claims for fraudulent misrepresentation, personal injuries or death. The Content of this web site and all copyright and other intellectual property rights therein belong to Pegasus Primary School or its Content providers. You are hereby granted permission to access the Site and print a copy of the Content as a record of your visit. All other use of the Site and its Content, including modification, publication, transmission, creation of derivative works, incorporation into another web site or reproducing the Site or the Content (whether by linking, framing or any other method) is not permitted without Pegasus Primary School's prior express written consent. Pegasus Primary School will only use the personal information submitted on this web site to respond to your specific query. Your information will not be shared with any third parties. Pegasus Primary School do not share any information submitted through this website with third parties. If you have opted into receiving information from Pegasus Primary School, then you will always have the opportunity to unsubscribe on receipt of an email.